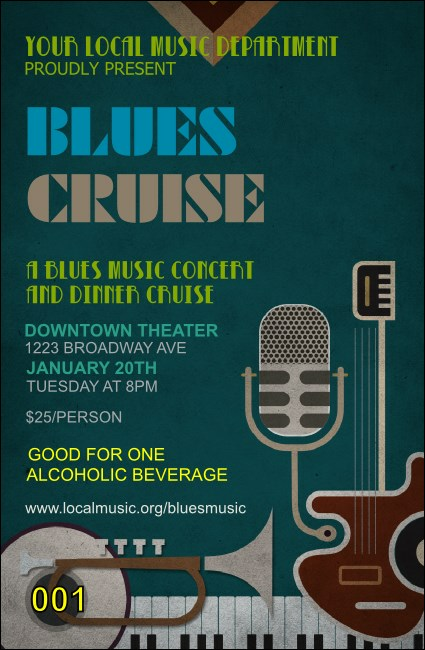 Make it easy for guests to drink their blues away when you hand them the Blues Drink Ticket at your next concert. This template features rich colors permeating throughout, with a dark teal background, bright text, and muted instruments and microphone. Each ticket is individually numbered for security and organization.